Cats love fresh meat for good reasons. While a cat can survive for short periods by scavenging roots, berries and vegetation a cat will die if it doesn’t eat meat. Cats can’t use certain essential amino acids and fatty acids found in vegetable matter, only those found in meat. 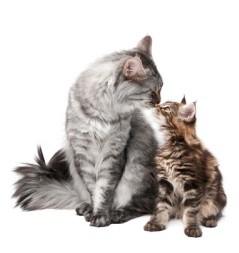 The best pet food manufacturers understand the cat’s unique nutritional requirements and ensure adequate levels of these essential nutrients in their diets. 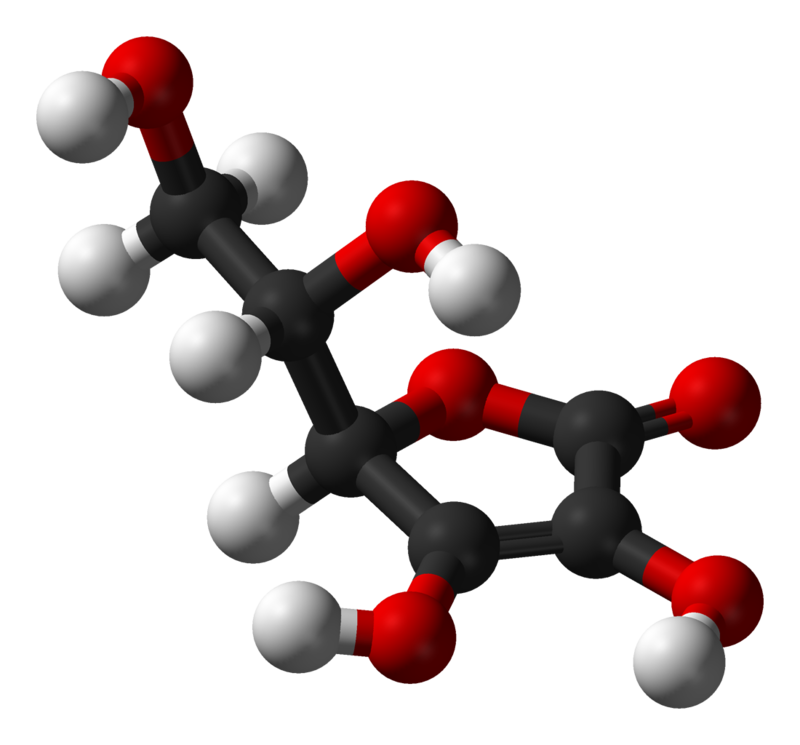 Animal fat contains some essential fatty acids (EFAs) which a can’t manufacture itself. Arachidonic acid is essential for blood clotting, fertility and coat condition while linoleic acid is vital for growth, liver function and wound healing. A cat’s natural diet, small rodents and birds, contains a good balance of these essential nutrients, as well as essential amino acids such as taurine and arginine. So does fish, not a natural diet for cats but an extremely good one. Until recently the role of soluble and insoluble fibre in a cat’s diet was under-appreciated. Fibre is a perfectly natural part of a cat’s diet, consumed when it eats the fur of other animals. Fibre is potentially beneficial for preventing or treating constipation, diabetes, obesity, inflammatory bowel disease, and excess fat in the blood stream. The actual amount of fibre your cat needs varies with its age and lifestyle. An antioxidant is a substance such as vitamin C or E that destroys free radicals. Free radicals are molecules and atoms in the body that destroy cell membranes. Cats have their own natural free-radical scavenging systems. Eating food with the vitamins and minerals that act as free radical scavengers may boost these natural systems. Pet food makers claim that their added antioxidants significantly improve the immune systems of mature cats, restoring them to the efficiency levels of youth. Dry food is prepared by cooking then drying under pressure and spraying with fat to add stimulating odour to increase palatability. A preservative must be added to prevent that fat from going bad. Wet foods are cooked, heat sterilised and sealed in sachets or tins. Because wet foods are vacuum-sealed, preservatives aren’t necessary. Nutritionally, one type of diet is no better than the other. 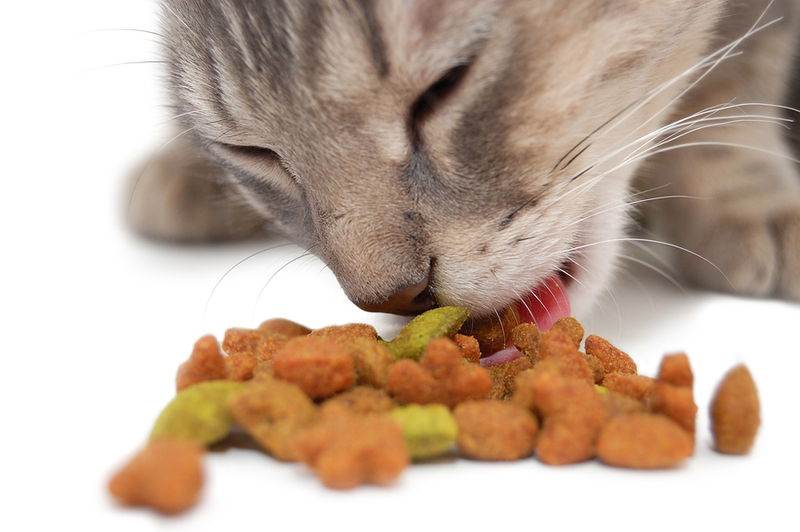 Dry food helps prevent dental disease because it gives the teeth and gums more exercise. Dry food is popular because it can be left in the bowl all day for your cat to graze on – and cats enjoy grazing – and it can also be used as hidden treats as part of play and an exercise regime for your cat. Cheaper commercial foods have variable formulas but usually a set level of protein, fat and calories. More expensive foods are made to fixed formulas and are always made from exactly the same ingredients. Even more specific recipes are used for the variety of ‘Veterinary’ diets that we stock at Gæludýr.is, foods which are designed to prevent or treat certain diseases. Growing kittens have higher energy demands than typical adults so kitten foods contain higher levels of vitamins and minerals and more protein than diets for adult cats. At the opposite end of the spectrum, older cats need more cellular protection diets for senior cats have increased levels of free radical scavenger vitamins and minerals in their diets. Also, it is important that a food fed to older cats is more digestible and lower in salt, to help prevent heart conditions. Longhair cats, because they swallow more hair while grooming themselves, are more prone to hairballs than other cats, therefore it can be useful to feed these cats a diet that helps move hair through the stomach and intestines. Most indoor cats are relatively inactive and neutered, therefore feeding a calorie-controlled diet would be a good decision. There are many diets formulated specifically for such neutered cats. Indoor cats are also more prone to develop certain medical conditions, often related to their relative inactivity. Urinary tract disease is one of these conditions, and diet can play an important role in managing this condition. Wet foods with lower amounts of certain minerals are available and advisable for these cats. There are diets available to treat other common conditions in cats as they age, including kidney disease and heart disease. The target of dietary management for cats with kidney disease is to minimise clinical signs of kidney failure, help maintain the cat’s well-being and if possible prolong its life. A diet for kidney disease should have reduced protein levels and also a good source of non-protein calories. This is one of the most common questions asked by kitten and cat owners. 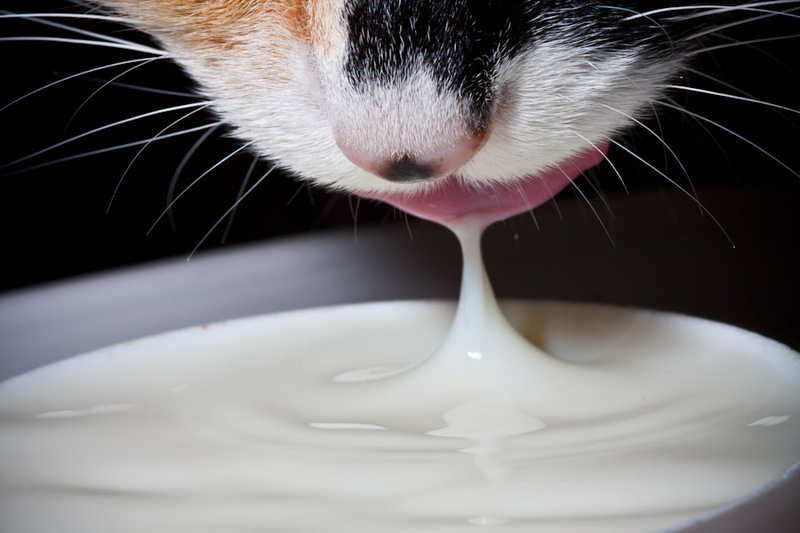 Cats love milk and cream but dairy products occasionally cause diarrhoea. That’s because some adult cats don’t produce an enzyme to digest the sugar in milk, lactose. If milk upsets your cat’s digestion and causes diarrhoea, offer it either ‘cat milk’ or ‘lactose-free milk’. Your cat will probably love you even more if you cook fresh food daily for it! Because of the specific dietary needs of cats, it can be difficult to home prepare something suitable. It is important to remember to take care if you are feeding your cat a raw meat diet. While it may be recommended as ‘natural’, there is the obvious risk of Salmonella bacteria in raw poultry. Bone-rich food such as cooked chicken necks is an excellent source of nourishment and it exercises the teeth and gums. However, a cat which eats very quickly is at greater risk of problems related to the bone content if it swallows its food quickly, without chewing. Cat nutrition can seem like a very confusing subject, and there can sometimes appear to be too many choices. The only thing to remember is if you need advice just ask our friendly team. All of our staff are trained in nutrition, and we can help you pick the most appropriate diet for your cat.